Can your Friends’ attitude be contagious? As the colder weather is approaching we have more to worry about than catching the flu from our friends… catching their bad attitude. Edward Hill, a graduate from the University of Warwick in Coventry, England is part of a research team that studied how teens’ moods affect others. This group collected data from about 3,000 US teens. This study was strictly observational because there was no experiment or manipulation. Through a number of years, teens were asked about their mental state and their friends at the time. These answers were then run through computer screening which tested for 3 different areas of study. The first model looked for signs that prove the number of friends who were depressed affected a teen’s risk for depression, the second look for evidence proving the number of friends who were not depressed affected that risk. And the third trial was a control trial which studied if their friends mood had nothing to do with a teen’s risk of depression. In the end of this study there no was evidence proving that the number of depressed friends affects a teens risk of depression. I believe this trial was unsuccessful for many reasons. First off, there is no way that the evidence resulting from this trial could be viewed as strong because this trial was entirely anecdotal observations. The collection of data took place through small surveys over the phone with large amount of people. This allows for people to give researchers inaccurate information because they think it is more socially correct (courtesy bias). The researchers can never be sure that the information they are receiving is completely correct. Another important factor in this experiment is correlation does not equal causation. This experiment limits itself to only 3 possible outcomes that are evaluated through computers. There are so many possible third variables and reverse causations that are available in this trial. There is no manipulation in the study which would allow for the correlation of your friends depression to link with your own depression. This also creates a huge window for the possibility of chance. I would conclude this study to be a null hypothesis because there is no change and they fail to reject the alternative hypothesis. This experiment neither proved something wrong, nor proved it right. Because depression is a serious mental illness, if the experimenter truly wanted to asses the mental effects a friends depression has on themselves, they should conduct lab trials. If i were to create my own study, I would create a study group of about 20 people. I would surround 10 of the people with someone who is depressed and the other half would be the control. I would use medical equipment to study the brain activity after spending time with someone who is depressed in contrast to the person surrounded by people who are not depressed. This would allow me to manipulate the study and create tangible evidence. This entry was posted in Uncategorized on December 4, 2015 by Gwyneth Mulliken. E-cigs are battery powered vaporizers which aerosolize solutions of propylene glycol, glycerol, nicotine and flavorant chemicals. The flavors mask the chemicals to make it seem like a friendly product. But in fact, the nicotine used in these e-cigs are the same as any tobacco based smoking product. The electronic devices can range from no nicotine to 24-36 mg/ml. Data shows that the nicotine in e-cigs can damage lung tissue and reduce the lung’s ability to function correctly. 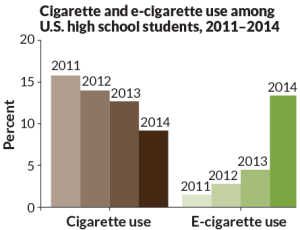 Because e-cigs have become such a trend, young teens have taken up the hobby. This poses many dangers to the developing brain. Nicotine is a highly addictive drug that activates a feeling of sensory pleasure (reward pathways). 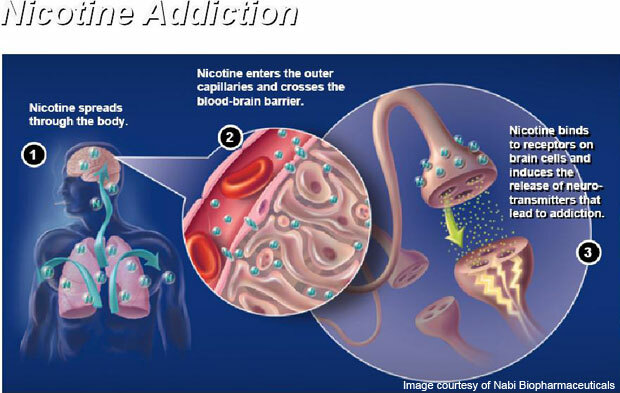 It is different from all other addictive drugs because it is directly releases gratification neurotransmitters into the brain. Long term use of nicotine changes the structure and function of the brain so it is difficult to comprehend certain triggers, such as stress. Irina Petrache, professor at Indiana University School of Medicine, conducted a study which exposed lung tissue to nicotine alone, cigarette smoke, and e-cig vapors. All three types of exposure damaged the lung tissue so it could no longer protect itself from harmful bacterias. Petrache then conducted a follow-up trial which exposed mice to nicotine and e-cig vapors. According to Science News, “These exposures caused increased oxidative stress and resulted in a buildup of inflammatory cells in the lungs of the mice.” These experiments prove that nicotine alone is harmful to lung tissue. Although it is true that cigarette have a greater negative impact, e-cigs still contain threatening amounts of nicotine. I think these experimental studies strongly prove the effect of nicotine on lung tissue. The first study manipulates third variables and chance because in a lab setting they expose the three drugs directly to the lung tissue. This makes for a strong inference in data because it was a good experiment with good field observations proving that nicotine destroys the lungs ability to be an effective barrier to outside substances. I agree with the findings of this experiment because the study proves that there is a direct causality with nicotine on lung tissue. The test is valid because the measured variables are reasonable. Nicotine intake through e-cigs (The X-variable) results in damaged lungs (Y-varaible) measures reasonable variables which proves our test to be valid. Therefor the alternative hypothesis is that the nicotine in e-cigs damage lung tissue the same way real cigarettes do. Through television ads, magazine and the internet, we’ve all heard companies advertising for the “perfect” diet plan. The trust is, there is no perfect diet plan that will work for everyone. Sciencenews.com titled their article, “A good diet for you may be bad for me” and that is the newly exposed truth. Certain foods can increase a persons blood pressure differently than it does to another person. The glycemic index measures how food raises blood glucose. 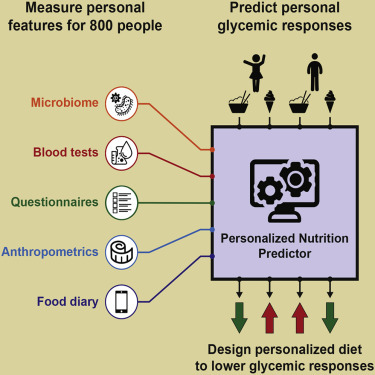 Researchers have recently discovered that a food glycemic index is dependent on the eater (the person consuming the food). For example, one person may eat a cookie and experience a sugar rush, while someone else eating the same cookie might not be affected. Eran Segal and Eran Elinav of the Weizmann Institute of Science, created a study to determine how different peoples bodies respond to eating the same food. The study put blood glucose monitors on 800 people. The researched supplied each person with a standard diet. The study found that although they all ate the same food, each persons blood sugar levels varied drastically. There are many factors that play into this; traits and behaviors such as body mass index, sleep, exercise, blood pressure and cholesterol levels all affect a persons response to food. Based on these findings, it’s not about what you eat but instead how your system processes the foods. You may not be sold completely just yet. After all, it’s not necessarily a strong argument if there is only one experiment done. Thankful, there were many more conducted that produced the same results. A team led by Elinav and Sega created a computer algorithm which used 137 personal measurements to predict a person’s blood sugar level after eating a certain food. This was then tested on a new group of 100 people, the algorithm correctly predicted the response 70% of the time. With more studies, the data was continually consistent proving there was no fluke. The team then focused on a smaller group; A group of 26 people were given personalized meals. The computer algorithm analyzed each person and narrowed the experiment down to 12 people. They worked with a nutritionist to create “good” and “bad” diet for each person. Good diets consisted of foods that minified blood sugar spikes after eating, while bad diet were those that increased blood sugar dramatically. All of the diets contained the same amount of calories (constant). Along with previous study, the study found that foods on one person “good” diet were sometimes on another person “bad” diet. For example, one woman’s blood sugar spiked when ate tomatoes but tomatoes were often on other people’s healthy list. Dr. James DiNicolantonio, a cardiovascular research scientist at Saint Luke’s Mid America Heart Institute is skeptical of the results. He claims there is very little practical takeaway and questioned their decision to measure blood sugar levels after eating. In terms of diabetes, measuring insulin is the most established way to determine whether people are developing insulin resistance (leads to type 2 diabetes). Segal and Elinav understand this but for the sake of the study, blood sugar levels can be continually measured by an attached device. It would be highly unpleasant to prick a person for blood 2,000 times to measure their insulin levels. As we know criticism only makes science stronger. I think Segal and Elinav carried out accurate and successful experiment which resulted in a greater gain for understanding the affect food has on our body. Especially in todays society when we are persuaded by so many commercial brands saying “they have the ultimate weight loss cure”. These experiments may lead to further knowledge and research on what is causing the differences in blood sugars. This entry was posted in Uncategorized on December 3, 2015 by Gwyneth Mulliken. Is Taste All In Your Head? Zuker and his colleagues have already proved the existence of dedicated receptors for each taste on the tongue. They did this by feeding mice certain tastes and using an infrared light to gain information about which cells were activated. Zuker and his team now created an experiment to reveal how the brain transforms detection of chemical stimuli into perception. The researches did this by manipulating cell in the brain of mice in order to change the way something tasted. They focused their attention on a certain part of the mice’s brain called the gustatory cortex. 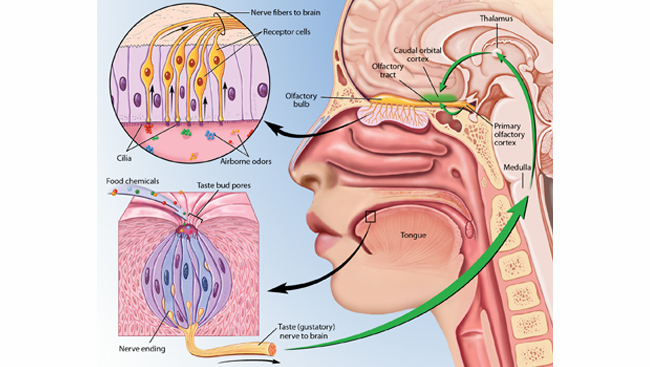 The gustatory cortex is responsible for the perception of taste; It is made up of nerve cells responsible for sensing bitter and sweet. The scientists in this study used optogenetics, which is a biological technique that involves the use of light to control cells. This allowed them to directly activate specific neurons with a laser. The researched wanted to know if manipulated these neurons could evoke the perception of tastes that aren’t actually there. They hypothesized that if they were able to silence these regions, it would prevent the animal from tasting sweet or bitter, and if they activated these regions, they would taste sweet or bitter even if they were only receiving plain water. The researchers were correct. When they injected the mice with a substance that silenced the sweet neuron, the mice could only taste bitter. The same thing happened when the silenced bitter, the mice could only taste sweet. The researches could also trick the mice into thinking they were tasting bitter or sweet while they were drinking plain water. They did this by activating the sweet neurons while the mouse was drinking; they observed behaviors associated with sweet, like increased licking. The same results happening with bitter neurons; when they were activated, they observed behaviors associated with bitter, such as gagging. They conducted another experiment on mice who had never been exposed to the taste of sweetness or bitter. The same results were produced. This proved that taste is not brought on by learning or experience, but instead rooted in the brain. This study is quite magnificent. It’s truly amazing how we can alter the brain to believe it’s tasting something its not. This study opens the door to understanding how taste sensation really works. I think this study is perfectly thought out and executed. It was able to control and manipulate the variables in order to prove causation. They followed the scientific model by creating a question, posing a hypothesis, proving the hypothesis, and analyzing the conclusion. This entry was posted in Uncategorized on December 2, 2015 by Gwyneth Mulliken. The thing that all husbands and boyfriends fear the most- PMS. Besides the emotional roller coaster and need to indulge in chocolate, PMS may have serious impacts on the health of women. The headaches, fatigue, and many other symptoms may signal an increase in future health problems. Unfortunately, the exact cause of PMS (premenstrual syndrome) is unknown. Scientist can assume it is related to fluctuating levels of hormones, such as estrogen and progesterone. Symptoms include fatigue, bloating, aggression, headaches and backaches, mood swings and many more. Up to 40% of menstruating women experience these symptoms. Most women can live with the small annoyance of symptoms, but for some women the symptoms are so severe they may lead to violence or attempted suicide. How it relates to blood pressure? Elizabeth Bertone-Johnson and colleagues at the University of Massachusetts Amherst and the Harvard School of Public Health were the first to study PMS as a possible sign for hypertension. The study tracked 1,260 women who had significantly clinical PMS from 1991 to 2005. They compared this group of women to a control group of 2,500 women who had few menstrual symptoms. The women aged from 25-42 years old. The study assessed PMS symptoms with a Calendar of Premenstrual Experiences, which includes an abundance of possible symptoms. Every two years, the study examined each women’s diagnosis for blood pressure. After following the women for 6-20 years, hypertension was reported in 342 women with PMS and 541 without. The study took into account the adjustments of age, smoking, body mass index, and other risk factors for hypertension. After the adjustments it was found that women with PMS had a hazard ratio for hypertension of 1.4. The researched found the link between high blood pressure and PMS was strongest among women below the age of 40. The women in this age group were 40% more likely to experience high blood pressure than women in the control group of mild symptoms. There are many aspect to consider when trying to determine if the experiment is valid. This study was a randomized and also proposed a control group which allowed the researchers to compare the two groups. The researchers also took into account confounding variables, such as age, smoking etc. and adjusted the results accordingly. Another aspect is the internal validity, which is based off of how the experiment follows the scientific method. Throughout my research I found that the experiment lacked a lot of analysis. The design of the experiment and observations seem to be correct, but there was very little analysis of why the results were found. I would assume this is because of the lack of knowledge on the cause of PMS. This lack of analysis prohibited me from further explaining the science behind this experiment. This also makes me question whether the correlation equals causation. 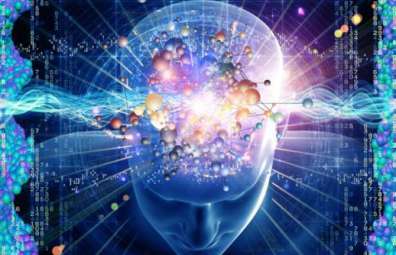 Is reverse causation possible? These are the questions that are unable to be answered due to the lack of knowledge on the causes of PMS within our body. I would conclude that this experiment posses strong evidence that there is a relationship between between severe PMS and hypertension, but there is still much more research to be done in order to prove this experiments validity even more. This entry was posted in Uncategorized on December 1, 2015 by Gwyneth Mulliken. Is Dairy Necessary to be Healthy? Growing up, I was always told to drink my milk in order to have strong bones. Dairy is a regular part of my diet. I have yogurt or cereal nearly every morning, and avidly eat cheese and ice cream. I never thought anything of this until my friend told me the theory of how dairy is unnatural. Humans are the only species to consume milk from other animals. It’s quite weird honestly, why are we drinking something that is intended to make calves grow? Back in the olden days, humans only drank milk from their mother’s breast as infants. This is because they, without choice, thrived on a paleo diet. This diet consists of meat, fish, eggs, vegetables, fruits nuts, etc. A paleo diet avoids processed foods, sugar, dairy products, etc. This proves an argument that dairy products, such as milk, are not needed for health reasons. About 11,000 years ago, milk was essentially toxic. When we were infants our bodies produced an enzyme called lactase which allows us to break down our mother’s milk. But as we grow older and do not rely on our mother’s milk, we often lose this enzyme. Cattle herders leaned how to reduce lactose in dairy products to tolerable levels. It is believed that humans adapted to accommodate dairy products in their diet through the process of natural selection. But as we know there are still many people who are lactose intolerant. According to Authority Nutrition, about 75% (3/4) of the world’s population is unable to break down lactose. In 1951, a Harvard Nutritionist named Mark Hegsted conducted a study to find out if so much dairy was necessary for the human body. He study 10 men who were locked up in a prison in Peru. These man survived on rice and beans, with maybe one class of milk a week. He compared the calcium intake with the amount they released in their waste in order to figure out how much calcium they actually retained. He found that these prisoners could take in only 126 milligrams (less than a single glass of milk) and tests would still say they have normal levels of calcium in their body. There are many factors that make this study weak. They study was very small, only 10 people and did not climate third variables. The study also did not test women. It is known that women often need more calcium when they are pregnant or menstruating. This study alone does not strongly prove that dairy is unnecessary but it did inspire more research on the topic. Walter Willett, who leads the nutrition department at Harvard University, starting to build off of Hegsted’s ideas. In 1977, Willet published the results of a eight-year long survey study. This study focused on the calcium intake of 43,000 men. The men received questioners about which foods they were eating, how often, and how much of each. The study separated the calcium intake from non-dairy sources and dairy sources. The validity of this experiment was tested by comparing the results to another random sample of 127 men. Nutrient intakes from the questionnaire were compared with the nutrients from this study. It was reported that there was a correlation coefficient of 0.61 for total calcium, 0.88 for skim or low fat milk, and 0.67 for whole milk. This proves that the study was valid because there was a high correlation rate. The study was also large enough to rule out third variables and produce accurate results. The study continued to compare these nutritional datas with injury rates. The participate were asked to report incidents of forearm and hip fractures, including the exact place and date of the occurrence. The study observed that there was no clear associated between calcium intake and fracture incidents. So despite doctors long beliefs that calcium prevents broken bones, this study found no relationship between calcium intake and risk of fracture. Willet continued to further study the roles of calcium on injuries and continued to find there was no relationships. After eight epidemiological studies and five randomized, controlled trials he concluded that, “calcium intake does not significantly decrease the risk of hip fracture in women or men.” Willet also conducted studies finding that men who drank two or more glasses of milk a day were nearly twice as likely to develop prostate cancer compared to those who drank no milk. A meta-analysis published in the American Journal of Clinical Nutrition last year concluded that “high intakes of dairy products…may increase total prostate cancer risk.” On the National Post, Willet stated, “(the dairy story) is very complex and we don’t have all the answers,” So far, studies have only reported a correlation between dairy consumption and the cancerous disease. Scientist have yet to understand how or why dairy could cause cancer. I think that all of Willet studies are well conducted and valid. There are many studies that prove the same results, therefor his conclusion are not a fluke. As stated above, there is still more research to be done to completely understand the working on dairy on our body but Willet has made some astounding discoveries that will influence more research and awareness about the topic. This entry was posted in Uncategorized on October 12, 2015 by Gwyneth Mulliken. I often find myself over eating on a daily basis. I’ll be sitting in the dinning hall after a full meal and get that second bowl of pasta just because I feel like it. I find myself eating when i’m full or when i’m just plain bored. How do I know when i’m really full? Dr Rick Kausman, an Australian healthy weight management pioneer, believes that 40-80% of the time we are eating when we are not hungry. This is the key element to people being over their ideal healthy weight. People need to be more aware with what hunger is, and learn to satisfy it correctly. We have two hormones in our body that account for hunger. Leptin is a hormone that decreases your appetite, while Ghrelin increases appetite,and also plays a role in body weight. Ghrenlin is the hormone which sends signals to your brain telling you, you are hungry. Research has suggested that Ghrenlin plays a large role in determining how quickly hunger comes after we eat. This is where issue come about; the body is known to play tricks on us. Sometimes we can not fully rely on such hormones to tell us we are hungry. For example, with emotional eating and binge eating. Some people also confuse hunger with thirst. According to an Article on WebMD, we can rein our hunger by eating less high-fat foods. Mary Dallman, from University of California at San Francisco, believes that fatty foods interfere with our Ghrelin and Leptin hormones. Eating fatty foods leads to weight gain and storing fat. A recent phenomenon as proposed eating 5 or 6 smaller meals a day. This theory is built to increase your metabolism and burn fat efficiently. A nutritious meal or snack every 3 hours will keep our blood levels stable, and give our body the necessary nutrients to control our hunger. Another important tip is to eat protein in nearly every meal. Protein has been proven to boost your metabolism the most. It is also essential to building muscle; the more muscle your body has, the easy you will be able to break down fat. It’s important to listen to your body, but also be smart. If you’re craving certain unhealthy foods, you might be low on certain nutrients that is causing that crave. Stay healthy and active! This entry was posted in Uncategorized on September 18, 2015 by Gwyneth Mulliken. About 11,000 years ago, milk was essentially toxic. When we’re infants our bodies produce an enzyme called lactase which allows us to break down our mother’s milk. But as we grow older and do not rely on our mother’s milk, we often lose this enzyme. Cattle herders leaned how to reduce lactose in dairy products to tolerable levels. Thousands of years ago, it is believed that humans adapted to accommodate dairy products in their diet. But as we know there are still many people who are lactose intolerant. Accord to AuthorityNutrition.com, about 75% (3/4) of the world’s population is unable to break down lactose. Health and dietary problems are very important to consider. You should be aware of all the benefits and consequences of the food you are putting into your body. It is best to lean towards low-fat dairy products in order to keep your metabolism on track. 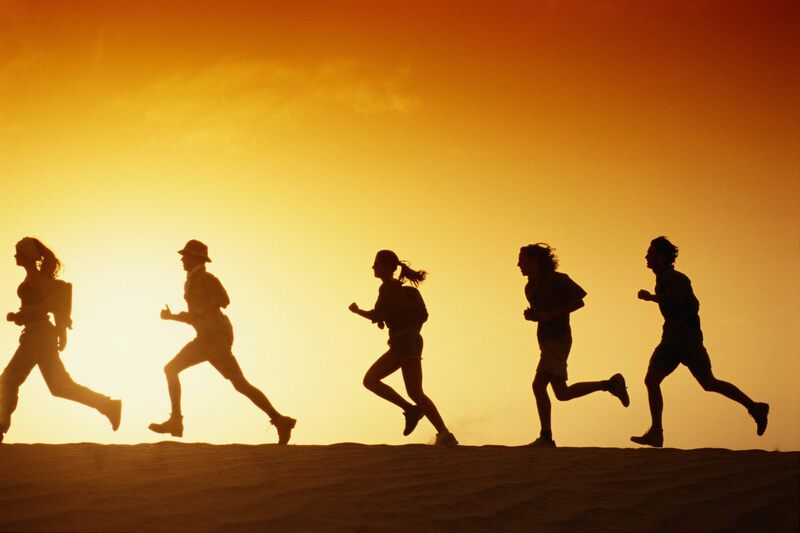 All of us runners have experienced the weird phenomena of having an amazing run one day, and a terrible run the next. Most often, when experiencing a bad run the pain is immediate. It may be struggling to keep a certain pace, losing your breath, stopping multiple times, or having pain in certain parts of your legs. Usually the pain goes away after you stop your run. 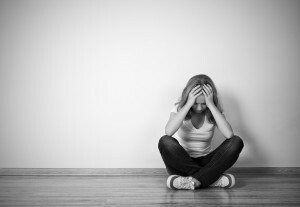 Although the physical pain is harmless, the mental pain is more threatening. Pain is a good thing, it reminds the body to be gentle. If you burn your hand on the stove, you need to feel the pain to understand you are injured. 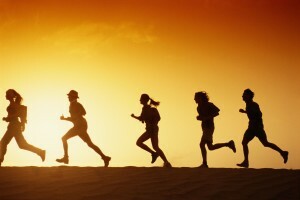 When it comes to running, you may still feel pain even after the injury is healed. MRI’s are often the perfect way to explore injuries within the body. But for runner pain, two MRI’s showing an uninjured person and an injured person may look the same. So you may be thinking, how can we treat this runners pain? The first step is mental. There are many studies that show high stress and increase injuries. Pain is based on the body’s perception of threat; If the body believes that a certain activity is threatening to the body, you may feel pain. For example, if you set out on a long run that you’re body may not be able to handle at the time, you will feel pain in certain parts of your body that you may not have on your run the previous day. For runners like me, it’s important to understand what went wrong. Sometimes it’s the weather, dehydration, stiffness, or not enough sleep. There are many things that can affect your run. You can not expect every run to be good. If you are pushing your body to new limits, you should expect to feel pain. This entry was posted in Uncategorized on September 11, 2015 by Gwyneth Mulliken. I know i’m not the only who talks to their dog a little more than they probably should be. I love my dog beyond words can even describe. Why is this love so strong? Dogs are always there for you. It seems to me that my dog can tell when I’m upset, happy or stressed out. Our actions can affect their actions towards us. Sometimes when i’m upset or annoyed my dog can tell; I notice she becomes very affectionate and comforting. When i’m very happy or energetic, my dog will jumped around and bark happily at me. This brings me to my question, can dogs understand us? There have been a few studies proving them some dogs understand the words of their owners. For example, Chaser, a border collie in South Caroline, learned over 1,000 nouns and commands. 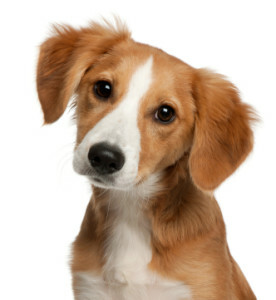 Most people believe that dogs do not actually understand the words, but simply follow commands by tone of voice. Although this is true, there has been evidence proving dogs do actually understand the meaning of words. A graduate student, Victoria Ratcliffe, at the University of Sussex in England set up an experiment to test dogs understanding abilities. She brought 250 dogs into a lab and attached speakers to each of their heads. She then played commands such as, “come”. The first version would contain meaningful words and emotional cues. Later she would take out the emotional cues, testing the dogs ability to understand the meaning of the word. Other times, she would remove the meaning of the word, leaving behind on the inflection in the voice. When dogs heard the word that contained only the meaning, about 80% would turn to the right. When they heard only the emotional cues, they would turn to the left. These results prove that dogs are able to differentiate between meaning and tone of voice. This study also proves a dogs understand of words is similar to ours. Dogs have two parts of their brain: the emotional cues and the meaning of the words. Humans process language and emotion through different sides of the brain. Why Do We Dream? Why Do We Only Remember Some Dreams? We all have those self realization moments when our dreams collide with the reality of what’s happening in our daily life. It’s scary at some points but also relieving to know, it was all just a dream. As we know, the human brain is a mysterious, complex ball of matter that we have yet to understand completely. Behavior science researchers still do not understand why or how we dream. But one thing is for sure, we all always dream whether we remember the dreams or not. There are many theories as to why we dream, why we remember our dreams and what role they play in our sleep cycles. The first theory as to why we dream is, the mental housekeeping theory. During sleep, the brain needs to process all the information from that day. This theory states that dreams are a result of the sorting, scanning and searching through memories. Dreams may actually refine or improve memories, making them more useful for the future, or remove unwanted information from the brain. Another theory states that, dreams make work as a problem solving technique. This theory believes that dreams reflect emotional preoccupations of our life and help us resolve such problems. Recent studies have found that sleepers tend to report more negative dreams when woken during REM sleep opposed to during Non-REM sleep. The amygdala, which specializes in dealing with unpleasant emotions, is very active during REM sleep. It is also suggested that during sleep the brain suppresses rational activity which is controlled by the pre front cortex to allow the brain to run riot. By unleashing this emotional side (associated with the amygdala) it allows us to “go crazy” during sleep in order to stay sane during waking hours. Very few people can actually remember their dreams during the day. According to various scientific studies, “within the first five minutes of waking up, we manage to forget almost 50% of the dream, and the remaining 50% fades out gradually as we go about our routine activities.” If you do remember your dream it could simply be because you woke up during your dream. Shelby Harris, PsyD, director of the Behavioral Sleep Medicine Program at Montefiore Medical Center, stated, “People are more likely to remember their dreams when they’re anxious or depressed, perhaps because they also tend to wake up more when they’re worried, perhaps in the middle of various dreams.” In order to better remember your dreams, you can practice recalling your dreams in the first 90 seconds of being awake or write them down. This entry was posted in Uncategorized on September 4, 2015 by Gwyneth Mulliken. Hi everyone! My name is Gwyneth and I’m from Westport, Connecticut. I’m a freshman but I did summer session so I’ve already fallen in love with the campus! I’m taking this course because my advisor recommended it to fill certain general education requirements. Although I’m not typically drawn to science classes, I’m really excited for this class because it seems interesting and abstract. I’m currently in the College of Communications. I’m not yet sure what I will be majoring in but I’m hoping it will be something that allows me to explore my interests in fashion, photography and music. I’m not majoring in science for many reasons, but I respect those who are able to do so. I hope this class makes science more enjoyable for me! 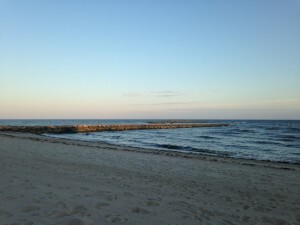 This is a picture of the beach right down the road from me! I also attached a link to my SoundCloud above. This entry was posted in Uncategorized on August 28, 2015 by Gwyneth Mulliken.